This is my latest purchase on e-Bay. I am managing to link my research into the Future (and Past) of Money, particularly private money, with my writing of occult fiction. 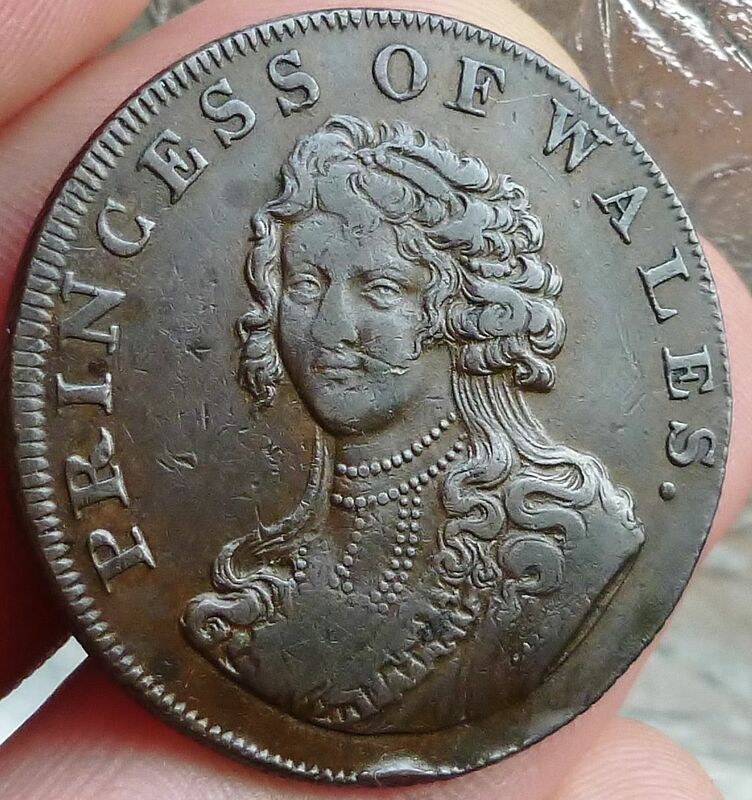 I’ve been on the lookout for any token coinage related to Princess Charlotte (daughter of George IV) and Princess Caroline (of Brunswick) her mother. I’ve managed to get a number of Charlotte coins, but this is my first Caroline. These ladies (and their modern-day incarnations) play a big role in Sons of Asterion, the first of a series of books written with Dionysios Demetis under the pen-name Richard Croft. See www.RichardCroftWorld.com.